With the extinction of Google PageRank, the secondary metrics matters a lot. Metrics like TRUST FLOW & CITATION FLOW are becoming the ranking factors in Google Search Engine Optimization. The sites like Moz Page and Majestic SEO are great at ranking and determining the HIGH DOMAINS AUTHORITY & PAGE AUTHORITY of the sites or blogs You can’t just easily trick these metrics, like that of Google PageRank. ✓ Unlimited URLs and KEYWORDS accepted. ✓ We will deliver our service as promised. ✓ Delivery Always On Time. Plus 24/7 Support. 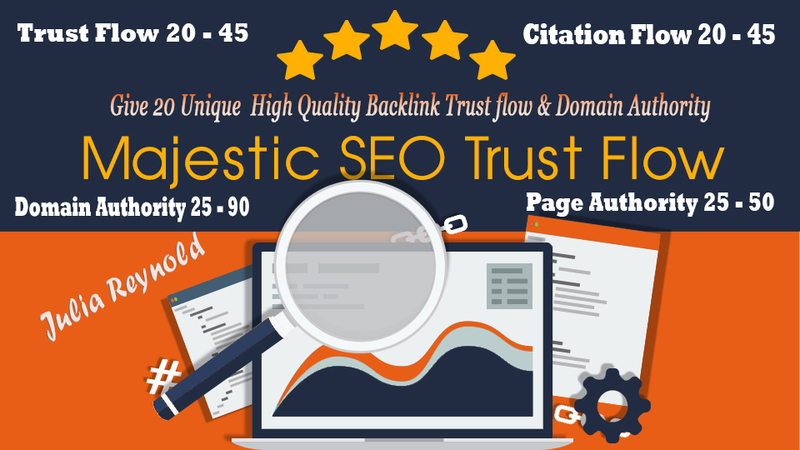 Give 20 Unique High Trust flow and citation flow blog commenting backlinks with high DA/PA is ranked 5 out of 5. Based on 14 user reviews.